Oil firms will launch more “small but beautiful” projects during another “bumper year” for the UK North Sea in 2019, an analyst said yesterday. 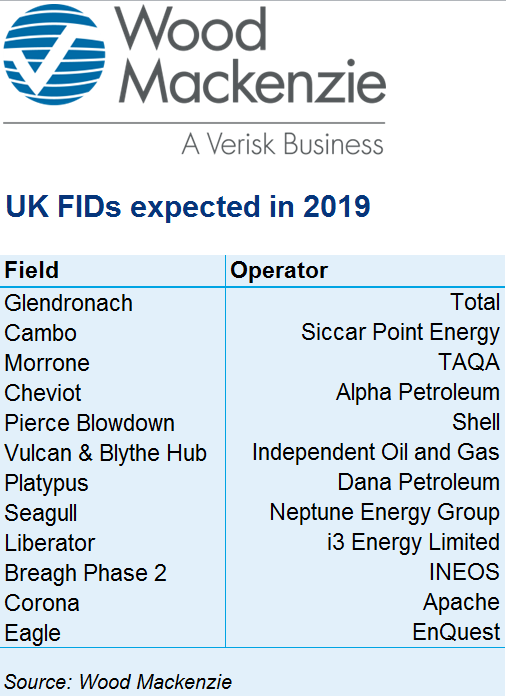 A dozen oilfield developments will get the go-ahead in 2019, roughly on a par with last year’s total, energy consultancy Wood Mackenzie (Woodmac) predicted. Most of the approvals will be for “fairly small” projects, but another double-digit haul would make 2019 a “good year”, said Kevin Swann, research analyst at Woodmac. All eyes will be on the waters west of Shetland, where some of the bigger schemes lie. Siccar Point should make a final investment decision (FID) on the Cambo field, and approval for Glendronach is a possibility as French major Total looks to “fast track” the project, Mr Swann said. He also predicted a revival in exploration following a “shocking” 2018. The UK Continental Shelf (UKCS) should host 10-15 exploration wells this year, compared to just eight in 2018, the lowest number since the 1960s. A combination of beefed up budgets and fierce competition for assets is behind the “renaissance”, Woodmac said. Siccar Point’s Blackrock and Lyon wells, west of Shetland, are the ones to watch, due to their high potential. While any uptick in exploration is “positive”, more than 20 wells per year are needed to fill the looming “project gap”, Mr Swann said. Most companies tightened their belts and stopped drilling during the recent downturn, resulting in a shortage of new projects lined up beyond 2020. Despite the intense rivalry for acquisitions, the UKCS will still witness some “big transactions” and “plenty of smaller ones” this year. North American majors will “take centre stage” as they focus on more attractive opportunities in other basins. On the buyers’ side, privately-backed companies with deep pockets have the best chance of getting deals over the line. ConocoPhillips is in talks to sell its North Sea portfolio to Ineos, while Chevron has put its entire central North Sea business up for grabs. A total of £5.48 billion will be invested in UKCS development projects this year by newcomers and key players like Shell and BP. Mr Swann said development spend was unlikely to increase as many of the projects being sanctioned are smaller and involve tying wells back to existing infrastructure. 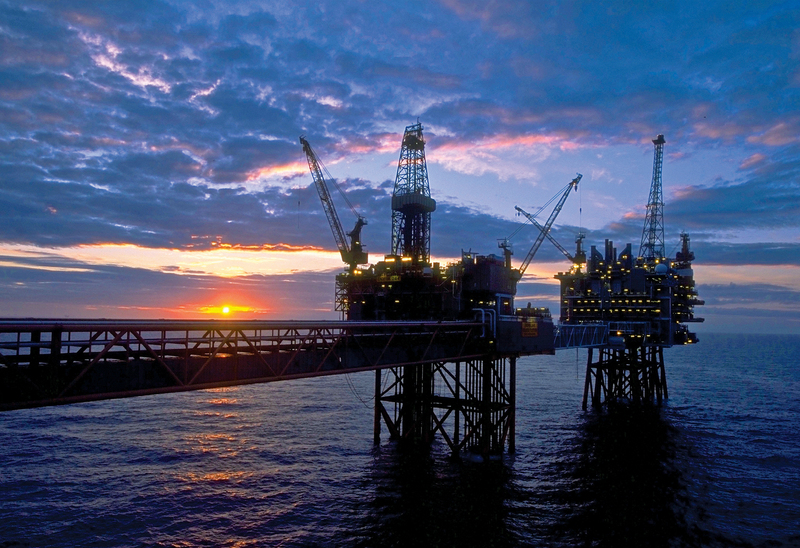 First oil from the Mariner, Lancaster and Culzean fields will help boost production by 4%. Mr Swann said Brexit was unlikely to have “massive consequences” for the sector, but could impact projects if suppliers start finding it more difficult to get materials from Europe.